ONE-WEEK ONLY SALE on their website!!! 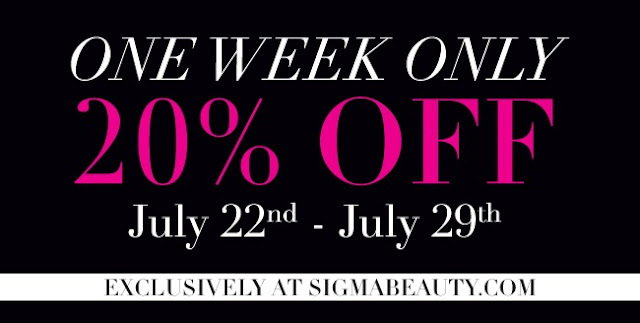 If you're interested in buying or had been wanting to try Sigma Brushes or their makeup line here is you're chance with a great discount! Enter the code SBAP20 upon checkout to avail the discount. Sigma Brushes are amazing and I can swear to that. 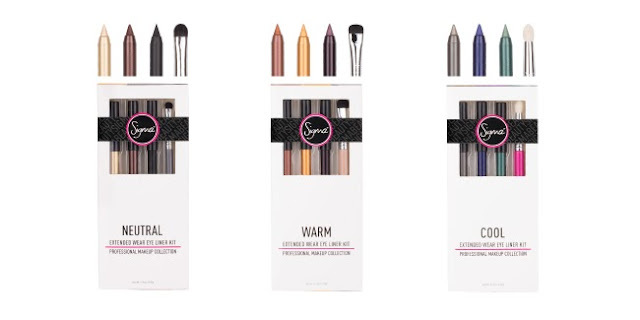 If you're looking for a cheaper version for the high end brushes that works the same give the Sigma brushes a go and you will love it! Also they recently released their Extended Wear Eyeliner Collection you can avail it individually or on a kit containing 3 eye liners and a brush.